The early weigh-ins for tomorrow’s blockbuster combined Bellator 180 and Bellator NYC events begin at 9 a.m. EST today inside Herald Square Suite at the Wyndham New Yorker Hotel. The ceremonial weigh-ins will be held at 6 p.m. EST and can be viewed below. Those weigh-ins will be held at The Theater at Madison Square Garden. 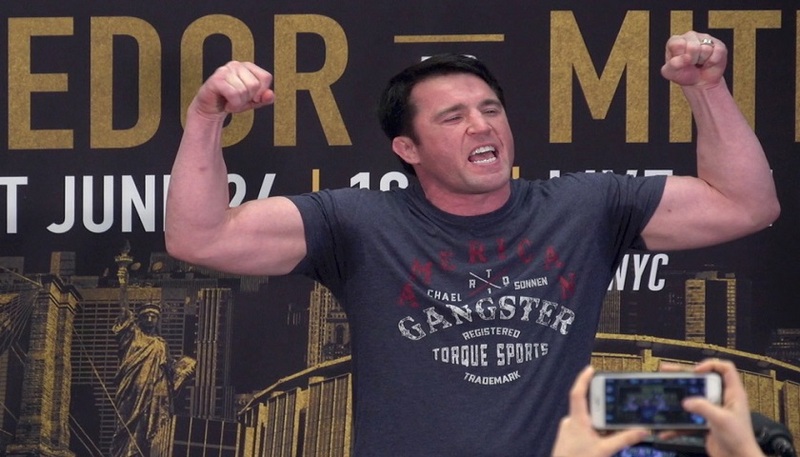 Tomorow night’s card is headlined by a grudge match between Chael Sonnen and Wanderlei Silva, and can be seen on pay-per-view. In the co-main event, the greatest heavyweight mixed martial artist of all time, Fedor Emelianenko takes on Matt Mitrione. Two title fights also line the pay-per-view portion o the card as Douglas Lima and Michael Chandler defends their belts. In the main event on Spike TV, Bellator MMA light heavyweight champion Phil Davis defends against Ryan Bader. Also, rising Irish MMA star, James Gallagher takes on Chinzo Machida, and boxing senstation Heather Hardy makes her mixed martial arts debut, taking on Alice Yauger. Matt Rizzo’s opponent, Sergio da Silva missed weight for their scheduled bantamweight fight and the contest was moved to a 137.6 pound catchweight fight.